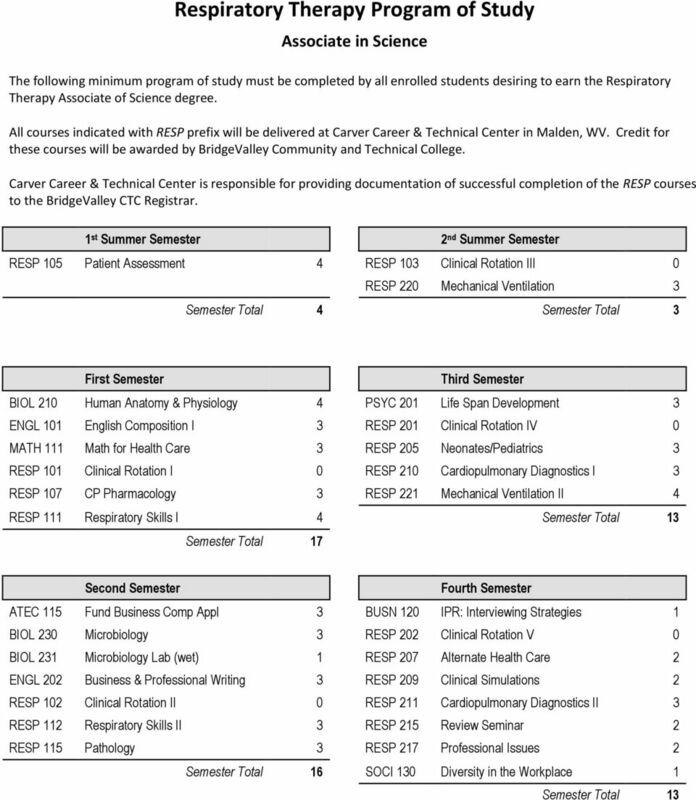 9 Programs of Study BTEC KEEP THIS SHEET FOR YOUR RECORDS: Respiratory Therapy Application Process In order to be considered for the Respiratory Therapy A.S. 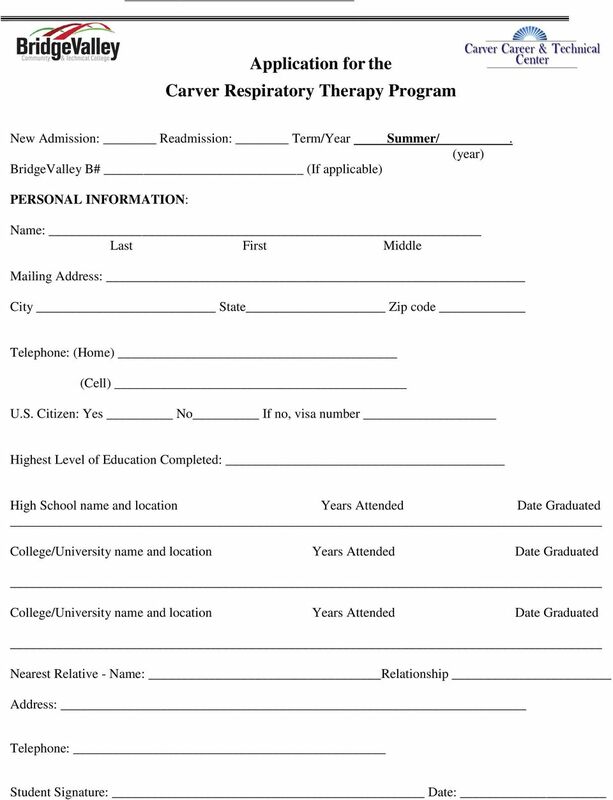 Degree Program all required items must be submitted prior to the February 28 th application submission deadline. Submitted items check-off: I have completed and submitted an Application for the Carver Respiratory Therapy Program (application included in application packet). 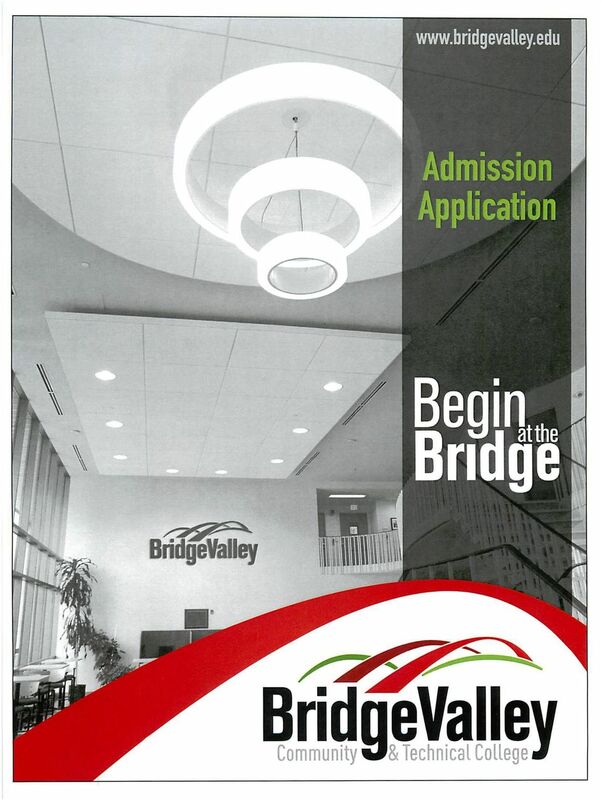 I have completed and submitted a BridgeValley Community and Technical College Application (application included in application packet -Note: current BridgeValley students must also complete a new application) The starting Term for the Respiratory Program is summer. I have requested and submitted an official copy of my high school transcripts OR GED/TASC Diploma. 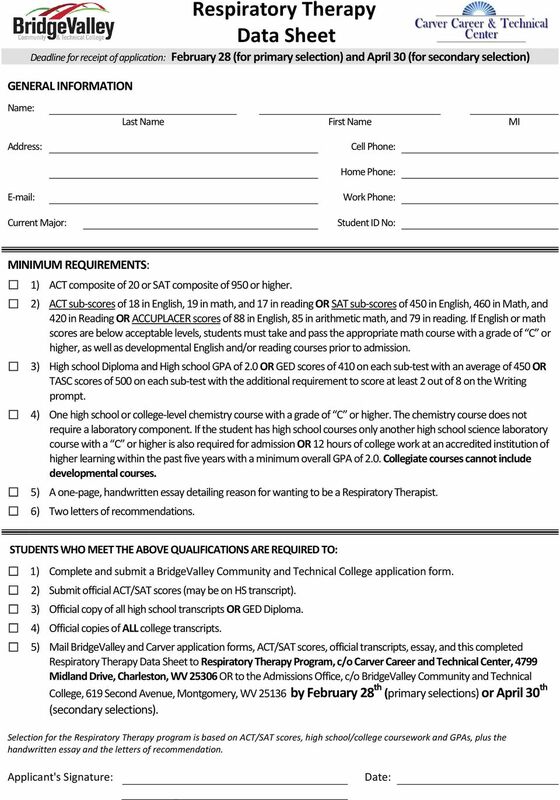 I do not need to submit my high school transcripts or GED/TASC Diploma because I have successfully completed at least 12 credit hours of college level courses (developmental courses are not counted as part of the 12 hours) at an accredited postsecondary institution of higher education and will provide official college transcripts from all colleges/universities attended. 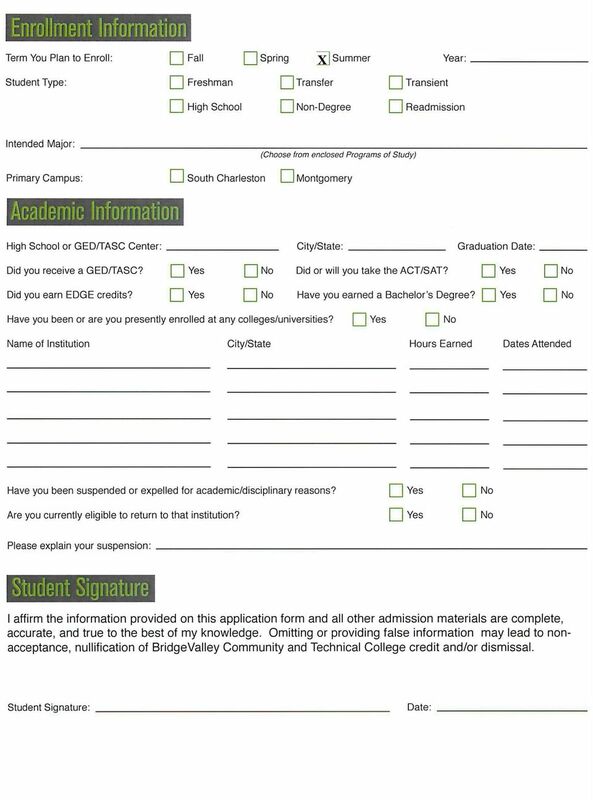 I have requested and submitted an official copy of my high school transcripts in addition to my college transcripts because I want my high school chemistry course (passed with a C or better) to be considered as part of my admission information. I have requested and submitted official copies of college transcripts from ALL colleges/universities attended. 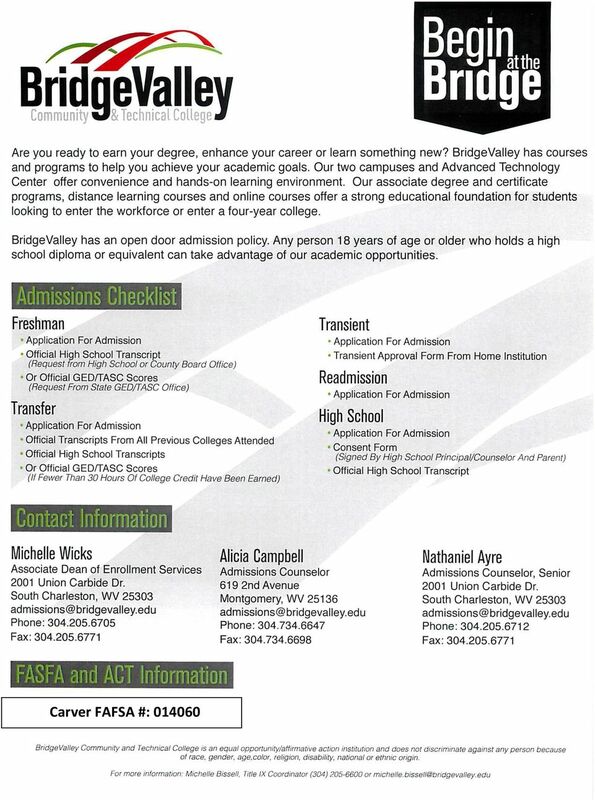 (If BridgeValley is the only college that you have attended, you will not need to submit college transcripts for BridgeValley.) I have requested and submitted official ACT/SAT (may be on High School transcript) OR Accuplacer scores. (Note: ACT/SAT scores are only needed if a student has not completed 12 hours of college level courses at a post-secondary institution of higher education). 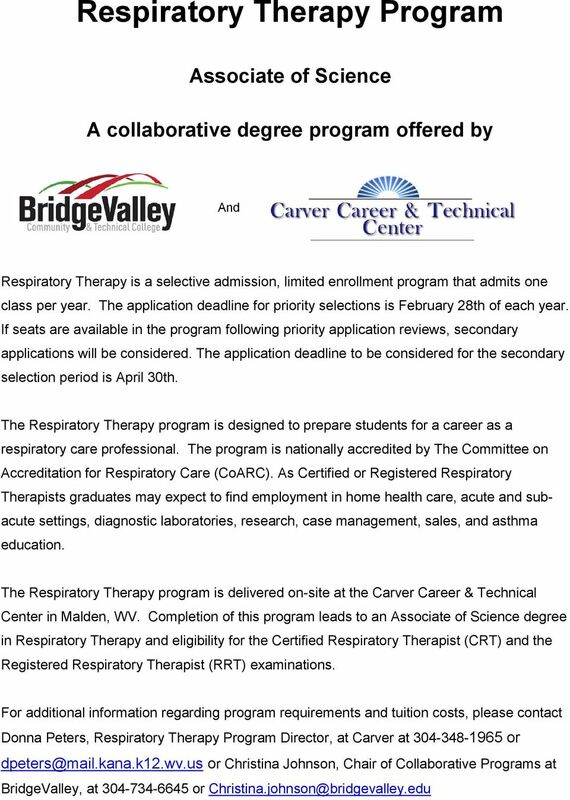 I have contacted either Donna Peters, Respiratory Therapy Program Director, at Carver at or Christina Johnson, Chair of Collaborative Programs at BridgeValley, at or for additional information regarding program requirements, tuition costs or other questions. 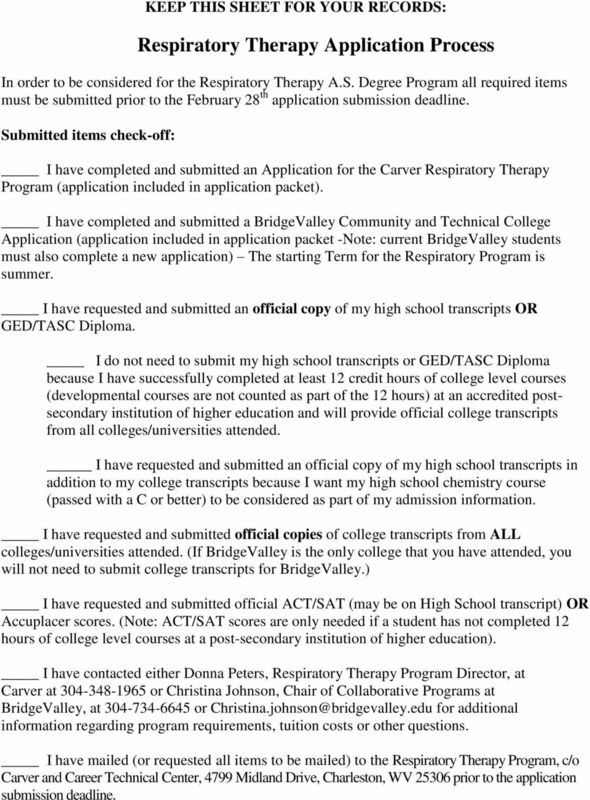 I have mailed (or requested all items to be mailed) to the Respiratory Therapy Program, c/o Carver and Career Technical Center, 4799 Midland Drive, Charleston, WV prior to the application submission deadline. 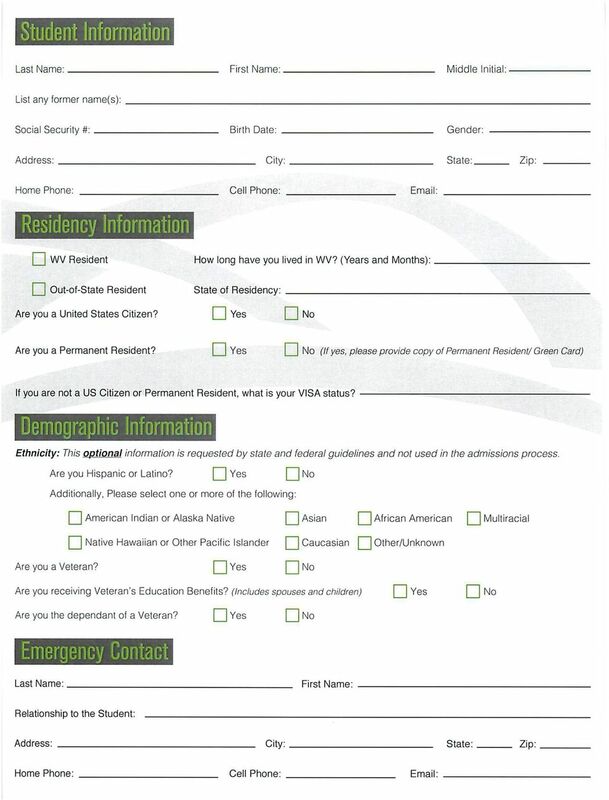 Please use the check-off sheet as you gather information or complete a task that is requested for consideration in the program. Practical Summer 206 Application and Instructions (Please note that the start date is Summer Semester 206 with the Practical classes starting Fall 206) Admission Criteria: Must attend Information Session.